The Maharashtra real estate regulator issued a standard operating procedure (SOP) on Thursday. It allows homebuyers to remove a developer in case the project is not completed on time. The standard operating procedure (SOP) has been issued under section 37 of the RERA Act, 2016, with reference to sections 7 and 8. The new standard operating procedures state that an association of homebuyers with the consent of at least 51 percent of the members can remove the developer from the project. The builder is required to respond to the notice within 30 days. 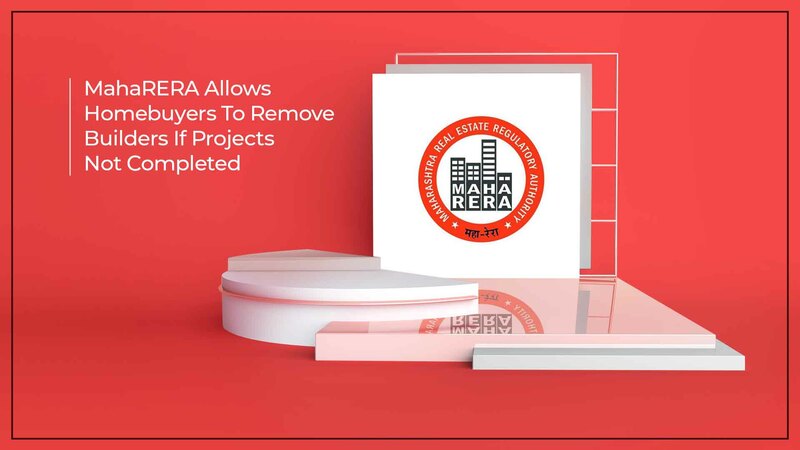 Financial institutions and any other parties associated with the project would also receive a copy of the notice.The members of the association can even cancel the developer’s registration under the MahaRERA Act. Vasant Prabhu, secretary at MahaRERA, said that there are at least 50-60 cases before MahaRERA where buyers have complained about project delays. After the developer loses right over the project, the project would be handed over to an expert panel who will look after the project. But this stands valid only if the apartment owners have not registered complaints before any forums such as company law or debt recovery tribunals. Not just that, MahaRERA would also help the buyers in preparing a blueprint once the builder loses the right over the project. A resolution panel with one member from the association and one member from the consumer forum would help prepare the blueprint. The current financial position, the future expenses, and the deadline to complete the project would be decided while making the blueprint. The blueprint should be ready in four months and submitted to MahaRERA. However, after studying the blueprint, MahaRERA can allow the same developer to continue the project with certain conditions or it can revoke the registration of the project. In case the registration is revoked, the bank accounts of the developer will stay frozen. Shirish Deshpande, Chairman, Mumbai Grahak Panchayat, a consumer body said that availability of funds is going to be a major issue. He said that it will be a tedious task for resolution panels to deal with such cases where stakeholders with conflicting interests are involved. He also opined that it is worth experimenting as in such cases the onus shifts on to homebuyers and old residents in rehab portion of redevelopment and how they salvage their sinking project.